It looks like the price continues forming an impulse inside wave (1). 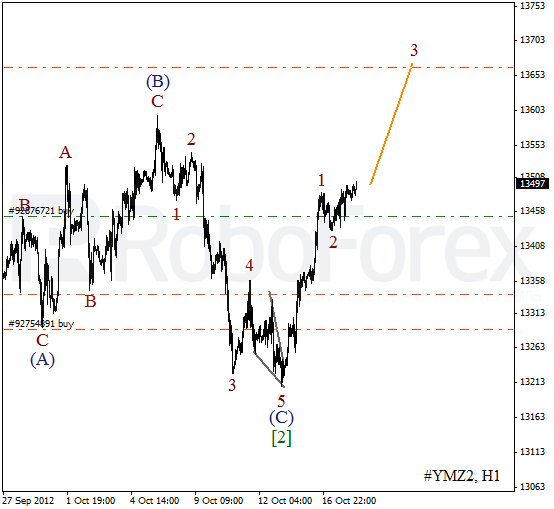 Earlier wave  was completed in the form of zigzag pattern. Most likely, the Index will continue growing up in the nearest future and break a local maximum very soon. After completing an impulse inside wave (C), the price formed an initial ascending wave. Yesterday the instrument finished a local correction, during which I opened a short-term buy order. Later we can expect the Index to start moving upwards and form wave 3 of (1). 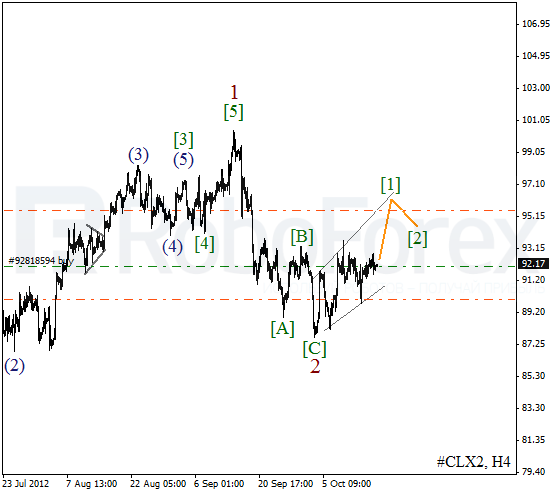 We may assume that at the moment Oil is forming divergent wedge pattern inside wave . 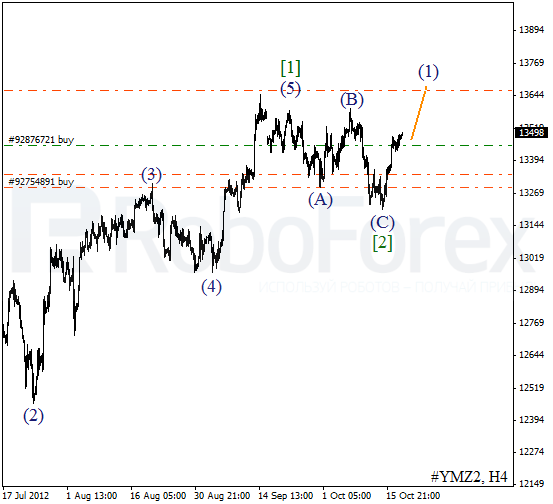 The bulls are trying to start moving the price upwards after it rebounded from the pattern’s lower border. There is a possibility that the instrument may break a local maximum during the next couple of days. 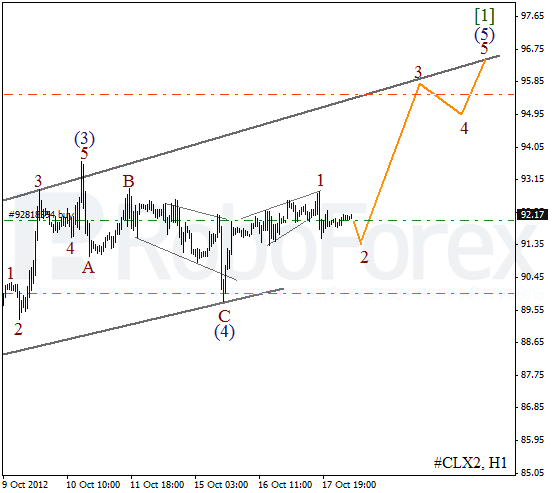 At the H1 chart we can see that the price formed an initial wedge pattern inside wave (5). Most likely, the instrument will continue a corrective movement during the first half of Thursday. Later Oil is expected to start growing up and form the third wave.